Fantasy Black Book: The NEW Fantasy Baseball Black Book 2015 Edition is Available! The NEW Fantasy Baseball Black Book 2015 Edition is Available! The NEW Fantasy Baseball Black Book 2015 Edition is now available on the Amazon Kindle Store for Kindle, PC and iPad with the Kindle for iPad App. The #1 best-selling fantasy baseball guide on the Kindle Store for the last 3 years running is back for 2015! 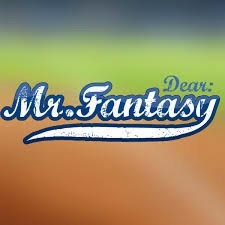 Fantasy baseball expert Joe Pisapia is the creator of the revolutionary statistic Relative Position Value, host of The Fantasy Black Book Show on Sirius/XM Fantasy Sports Channel 210/87 and co-host of the award winning Dear Mr. Fantasy Podcast. His Fantasy Black Book is the fundamental alternative to the stale content, recycled player rankings and glossy photos that dominate so many fantasy baseball sites and magazines at half the price. Its a great book... However, if you are a beginner you should first get a simple guide on fantasy sports like this one here - https://www.fantasysportsdaily.com/beginners-guide/. It explains about the basics and the logic of fantasy sports and it is really something you should start with. I hope this works, too.